When it comes to those whose influence weighs heavily on 20th century. fashion, arguments rage. Chanel. Dior of “The New Look.” YSL. Mary Quant and the mod craze for the mini and hot pants. Rei Kawakubo, founder of the Comme des Garҫons anti-fashion austerity. Alaia. Armani. Claire McCardell, creator of the “American Look” that revolutionized the way women everywhere think about and wear clothes. Rudy Gernreich whose gasp-inducing monokini put a new spin on what to wear at the seaside. Anyway, the list rattles on. But to certain eyes that have traveled far and wide over the landscapes of fashion and style, those eyes would undoubtedly settle on D.V. 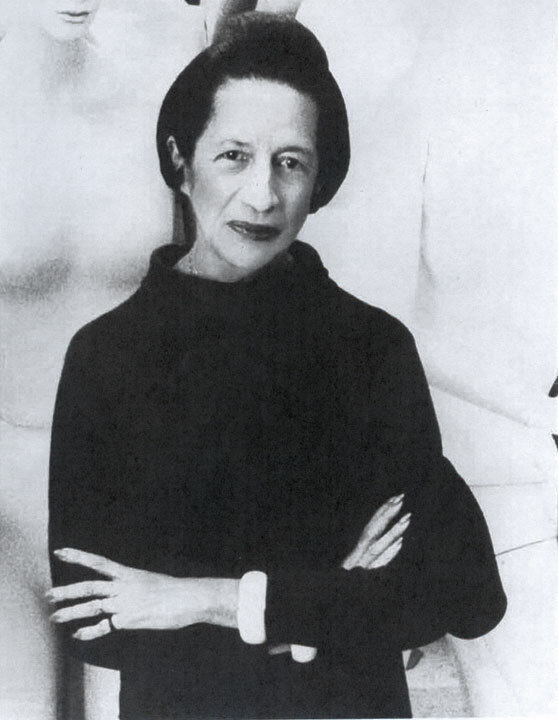 Currently in movie theatres (hopefully one in your neighborhood, dear reader) is the documentary produced by Lisa Immordino Vreeland, also titled Diana Vreeland: The Eye Has to Travel , an exhilarating, shimmering version of the book with voice and motion. On screen are interviews with Angelica Huston, Calvin Klein, David Bailey, Ali McGraw, Joel Shumacher, Harold Koda, Veruschka and D.V’s sons, Frecky and Tim, among others, offering recollections and anecdotes about the experiences that inspired and fascinated; that encouraged them to recreate their lives, to venture out onto the thin ice of truth or dare and indulge in a little embroidery (did Diaghilev and Nijinsky really dance in her family’s Paris living room? Probably not, but how deliciously romantic is the idea!) and, perhaps, ask themselves “Why Don’t You?” And then do it. In creating her dazzling book (arguably the best book on fashion, maybe ever) and producing and directing her film, Lisa Immordino Vreeland’s research was exhaustive. Clearly, much of her material came from the memories of the family she married into; some of it, including D.V’s own diaries, which are held in the New York Public Library, was found in that venerable institution and some of it was researched right here in the FGI archives, that mother lode of information that’s been found to be, by so many writers, historians, curators, designers, educators and students, worth its weight in pure fashion gold.